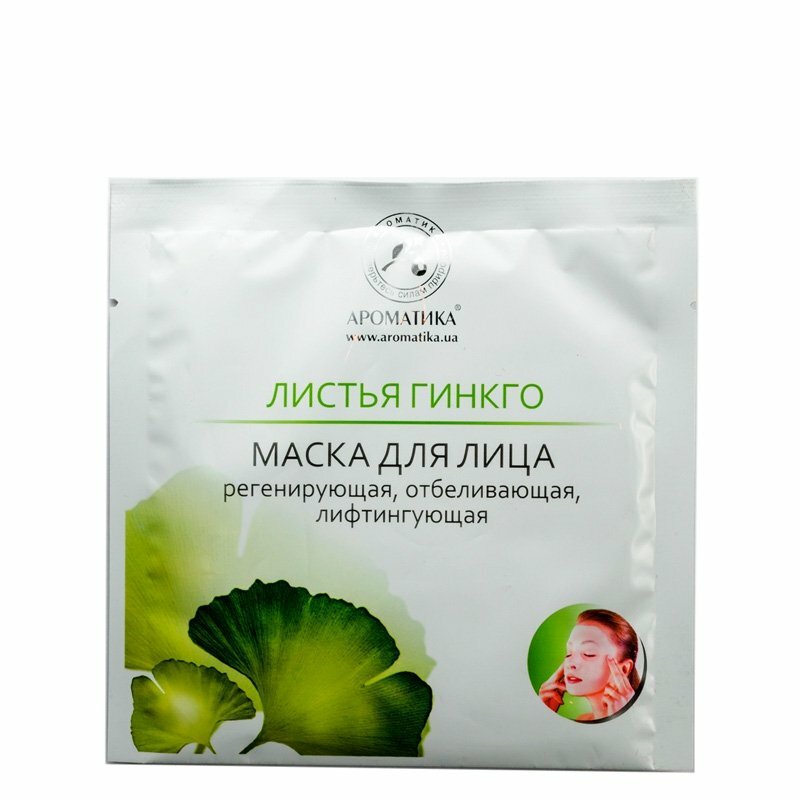 Ginkgo Leaf Face Mask is a bio cellulose facial mask with ginkgo biloba leaf extract, sea algae extract and vitamin A. The product can be used both in beauty parlours and as an at-home skin treatment. It has a lifting effect. The composition of the mask includes thoroughly selected ingredients combined to provide maximum effect. Just like other masks in the series, ginkgo face mask is packaged in a sealed sachet which helps to preserve all its useful properties. Besides, the sachet does not take up much space and you can take it with you when you travel. The product is made with natural ingredients. The effect is noticeable after the first application. Hydrolysed vegetable protein is one of the key ingredients of the mask. It instantly moisturises the skin, activates collagen and elastin synthesis, reduces skin pore size, smooths out fine lines and stimulates skin cell regeneration. Vitamin A contained in the mask has an antioxidant effect. It prevents premature skin ageing and accelerates epidermal cell regeneration. Algae extract provides the skin with vitamins and minerals, stimulates skin regeneration, regulates the hydro-lipid balance of the skin, softens the skin and helps it to retain moisture. Ginkgo biloba leaf extract strengthens capillary walls, relieves irritation and inflammation, improves skin elasticity. It is rich in phytoestrogens which stimulate collagen synthesis and accelerate epidermal cell regeneration. Thus, this Aromatica face mask with ginkgo biloba extract noticeably improves skin elasticity, strengthens capillary walls, improves microcirculation, smooths out fine lines, relieves irritation and soothes the skin, stimulates skin cell regeneration and provides the skin with nutrients. Cleanse your face before applying. Take the mask out of the sachet and unfold it. Carefully put the mask on your face and leave it on for 15-20 minutes. Remove the mask and rinse your face with cool water. Each mask can be used only once. Repeat the procedure once or twice a week. Water, Propylene Glycol, Glycerol, Hydrolyzed Vegetable Protein, Vitamin A, Algae Extract, Rose Hip Extract.